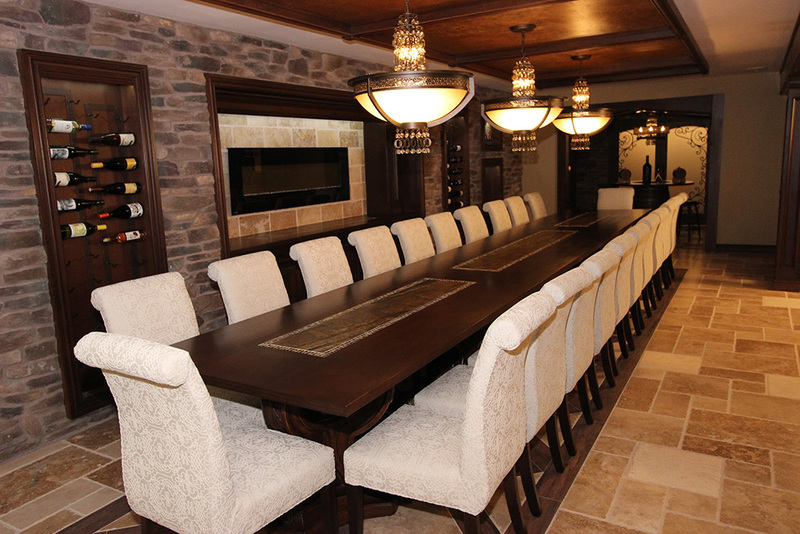 At Architectural Justice we are passionate about creating spaces that not only make a statement, but make you and your guests feel special when you enter the room. 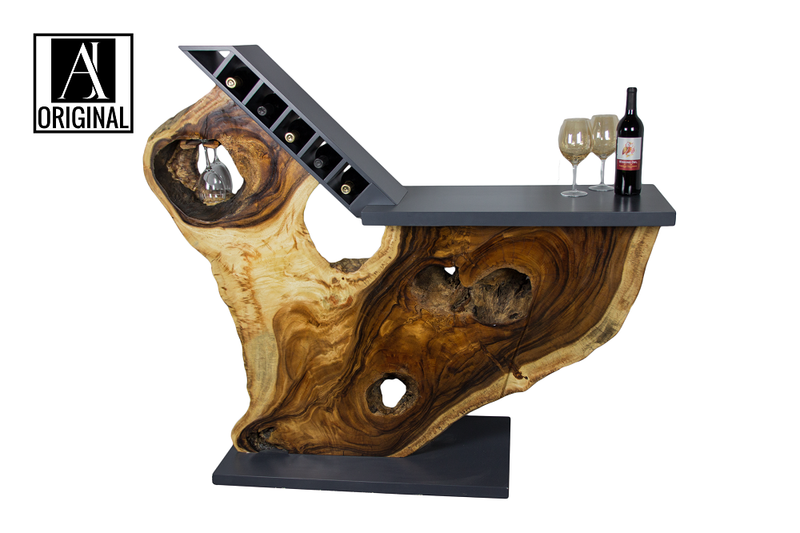 Whether you are interested in finding a cool piece to accent your space or you desire a custom piece that meets your family’s needs, Architectural Justice has the capability to build or source these unique items for your home or business. By using reclaimed wood that we have salvaged from landfills we can blend artisan skills from each of our workshops to design and build impressive pieces. 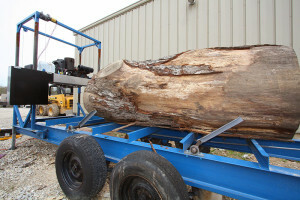 Our band saw mill has the ability to cut wood slabs up to 48″ wide for tabletops, counters, and other furniture pieces. The wood slabs are then placed in our custom made solar kilns and are ready for production in three months. Visit our showroom to see our ever evolving mix of eclectic and artistic furnishings and home decor products or browse our online store. 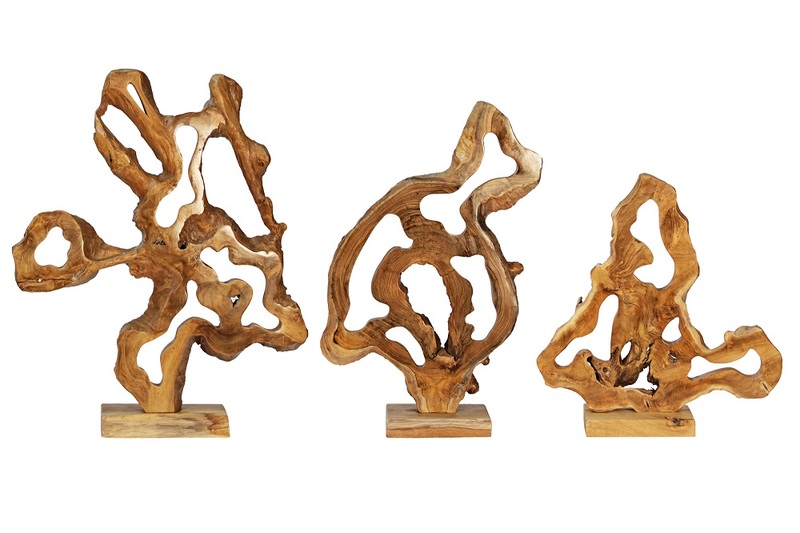 Our stock of fallen trees contains multiple varieties of wood. 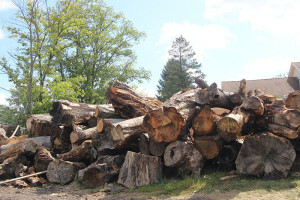 Logs are cut with the band saw mill. 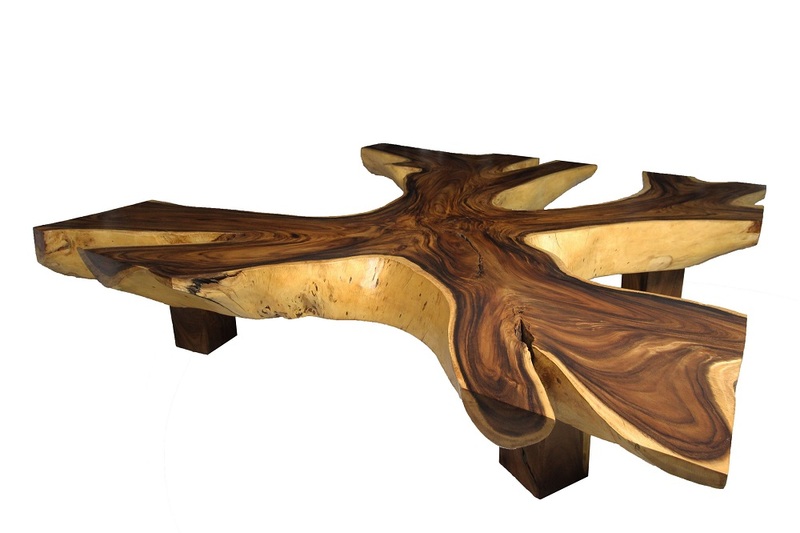 Our designers collaborate with our clients and artisans to create statement furniture pieces for our customers homes. 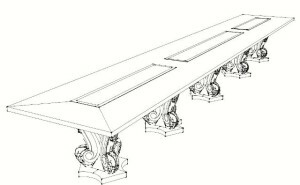 3D Renderings can be drawn to help clients visualize how the final piece will look. 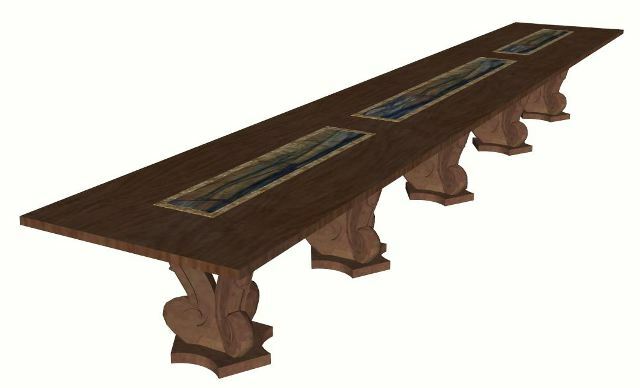 This particular table combines wood, granite, and tiles so all our artisans came together to finalize this piece. 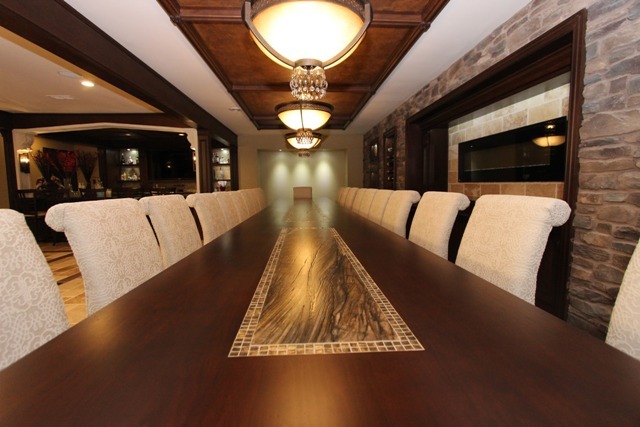 The granite and mosaic tile inlays take this already grand table to the next level.